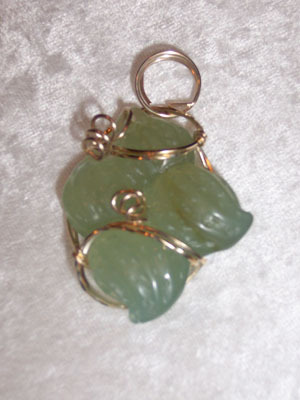 Carved Jade Peanuts fashioned into a 14kt rolled gold sculpted pendant. Yum. Measures 1.75" x 1"